Please see our turkey range below. If you wish to know more please do not hesitate to contact us! Sadly only limited in weight range this is a fantastic new addition to our turkey range. These hockenhull blacks are a cross between a black stag on a bronze hen giving the slightly stronger gamey flavour, with the broad breasted confirmation of the bronze. Highly recommended and celebrated, our bronze turkeys have an old fashioned flavour and meat texture. 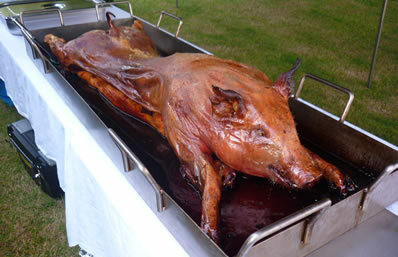 Slow grown to full maturity ,develops moist and succulent flesh rich in flavour. 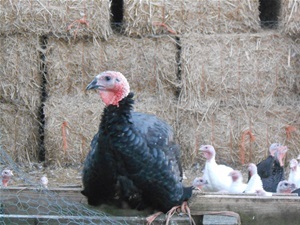 Traditional free range turkeys, allowed to mature slowly and be stress free. Beautiful white flesh with deep layers of fat and a high meat yield. 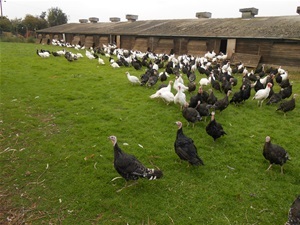 Enjoying an oat rich cereal diet and gaining additional nutrients from grazing on the surrounding vegetation, gives all our turkeys a superior flavour. Our christmas season starts with collecting our day old goslings in late May (often on my birthday) from Norfolk Geese in Pulham Market. 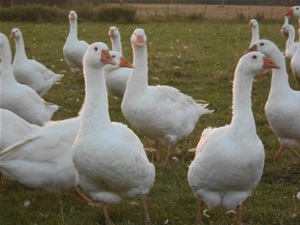 We use the legarth strain which undoubtedly produces the finest meat producing goose available. After rearing on straw under heat, we allow them to free range and suppliment their diet with grass and bugs, with additional homegrown cereals and then finally we finish them on a more concentrated diet of specialist pellets. The Capon or large chicken has recently been making a come back and we now sell a similar quanitity as we did back in the early 70s. This ever more popular joint, allows ease of cooking and carving with all breast meat, as the legs are removed. The most convenient roasting joint availiable, easy to handle and cook with no waste or left overs! We are able to produce a joint to the size you require, either 100% breast meat or filled with leg meat for that contrasting flavour . We can even stuff the joint with a meat stuffing of your choice or one of our recommendations. Please contact us for details. All joints are tied in a string net, which you leave in place whilst cookingl. This is then easily removed for the simplest of carving.